Home Tags Posts tagged with "oxford university"
A new Ebola vaccine is being tested on healthy volunteers at Oxford University. In September 2014, a separate trial of another Ebola vaccine got under way in Oxford. This latest trial involves 72 volunteers aged 18-50. 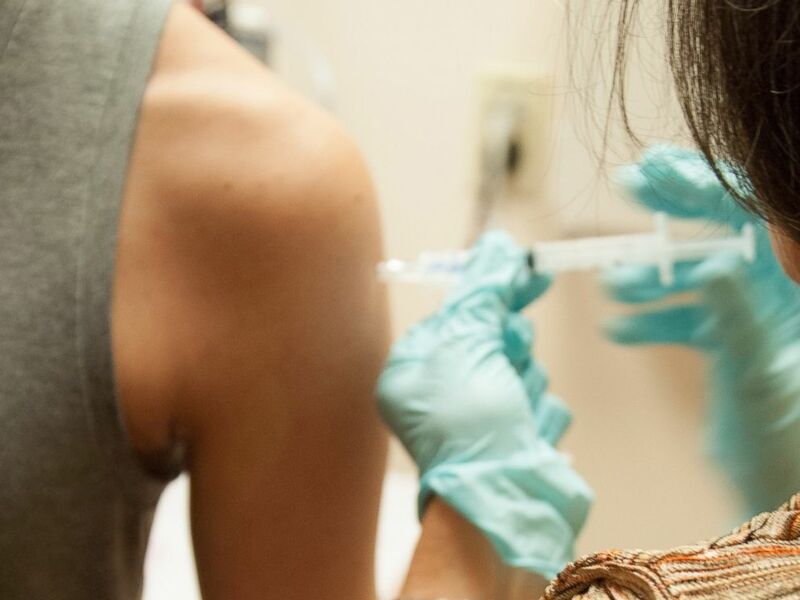 The volunteers in Oxford are the first humans to receive the vaccine. Dr. Matthew Snape, from the Oxford Vaccine Group, part of the University of Oxford Department of Paediatrics, said: “We aim to immunize all participants within a month. The first dose is designed to prime the immune system with the second booster dose to enhance the immune response. The two doses contain different components, but both include genes for a protein from the Zaire strain of the Ebola virus. The trial organizers stress the vaccine cannot cause anyone to be infected with Ebola. 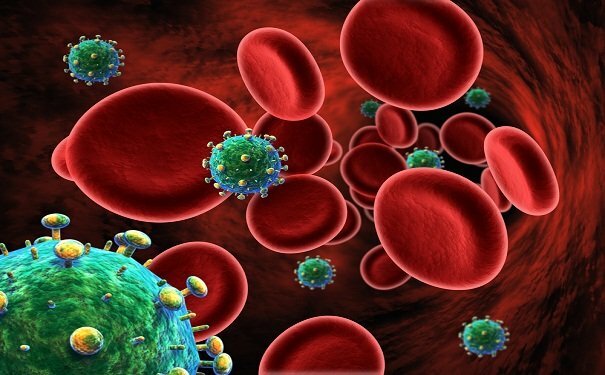 The immune response the vaccine generates – both antibodies and T cells – will be measured over the course of a year. Johnson and Johnson said it hoped to begin a larger Phase II trial in Africa and Europe within three months and then to have the vaccine available for use in Liberia, Guinea and Sierra Leone by the middle of 2015. The pharmaceutical company says it could have 2 million doses of the vaccine available in 2015. The health crisis triggered by the Ebola outbreak has led to a huge acceleration in the pace of vaccine research. In September a separate team at the Jenner Institute in Oxford began a trial of an Ebola vaccine. GSK and the National Institutes of Health in the US developed the vaccine. Results of that trial are due shortly and there are plans for the vaccine to be offered to health workers in Ebola affected countries of West Africa later this month. The study led by the Jenner Institute has now been modified to include a booster dose. Merck has recently bought the rights to a third Ebola vaccine being developed by the biotech company NewLink Genetics. That vaccine is being tested in Switzerland. The trial, in Geneva, was halted in December 2014 after some volunteers complained of joint pain. It resumed this week, with participants being given a lower dose. Ebola vaccines are also being developed in Russia. Dr. Matthew Snape said: “The fact that there are at least three Ebola vaccines entering these early safety trials is good news. “We are not playing first past the post here. Having multiple vaccines progressing through clinical trials increases the likelihood of vaccine manufacturers having the capacity to meet production demands should mass immunization be required. 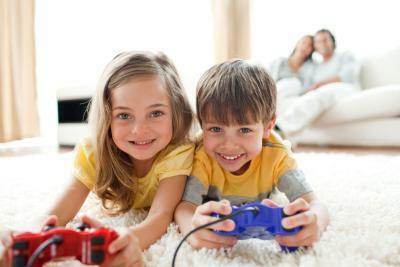 A study by Oxford University suggests that playing video games for a short period each day could have a small but positive impact on child development. Experimental psychologist Dr. Andrew Przybylski analyzed British surveys involving 5,000 young people aged 10 to 15 years old. Some 75% of those questioned said they played video games daily. Children were asked to quantify how much time they spent gaming on a typical school day – using consoles or computers. The answers were combined to assess levels of psychological and social adjustment. The group also had fewer problems with emotional issues and lower levels of hyperactivity. According to the results, people who spent more than three hours playing games were the least well adjusted. Dr. Andrew Przybylski points out that though the effect of video games on children is statistically significant in this study, factors such as the strength of family relationships play a larger role. Alex Rawlings has won a national competition to find the UK’s most multi-lingual student. Entrants in the competition run by the publishers Collins had to be aged between 16 and 22 and conversant in multiple languages. 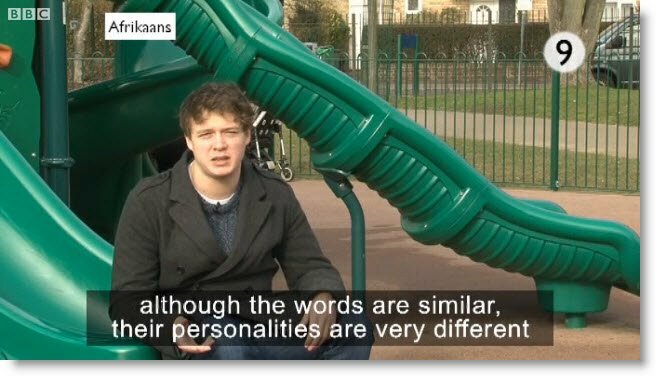 Alex Rawlings drew on all his skills to tell BBC News about his passion for learning languages and how he came to speak so many. The sound of a crying baby is almost impossible to ignore, no matter how hard you try. Now scientists may have worked out why. They’ve shown that an infant’s wails rapidly pull at the heart-strings, in a way that other cries don’t. In fact, within just a blink of an eye, brain regions involved in processing emotions are hard at work. It had been thought that the brain was incapable of processing such complex facets of sound in such a short time. With other types of cry, including calls of animals in distress failing to elicit the same response, the finding suggests that the brain is programmed to see something special in a baby’s cry. The idea comes from Oxford University scientists who scanned the brains of 28 men and women as they listened to a variety of calls and cries. After 100 milliseconds, roughly the time taken to blink, two regions of the brain that respond to emotion lit up. Their response to the baby’s cry was particularly strong, the Society for Neuroscience’s annual conference in New Orleans heard. What is more, the response was seen in both men and women – and in people who had no children of their own. Researcher Dr. Christine Parsons said: “You might read that men should barely notice a baby and step over it and not see any of them but it’s not true. “There is a specialized processing in men and women which makes sense from an evolutionary perspective that both genders would be responding to these cues. Colleague Katie Young added that it likely takes a bit longer for someone to recognize their own baby’s call. Previous work from the Oxford team showed that our reactions are also speeded up by the sound of a crying baby. Adults did better on an arcade game that requires speed, accuracy and dexterity, when they heard the sound, than they did after being recordings of adults crying or high-pitched bird song. Morten Kringelbach, who co-led that research and supervised the latest project, said then: “Few sounds provoke a visceral reaction quite like the cry of a baby. The findings are not just of general interest, they also have a practical purpose. Understanding out how the healthy brain responds to babies’ cries could shed light on post-natal depression, in which mothers struggle to bond with their newborn, and lead to new treatments. British mathematician Max Little has come up with a non-invasive, cheap test which he hopes will offer a quick new way to identify Parkinson’s disease. Parkinson’s is a devastating disease for those living with the condition and currently there is no cure. Diagnosis can also be slow as there are no blood tests to detect it. Max Little will be kicking off the TEDGlobal conference in Edinburgh calling for volunteers to contribute to a huge voice database. He has discovered that Parkinson’s symptoms can be detected by computer algorithms that analyze voice recordings. In a blind test of voices, the system was able to spot those with Parkinson’s with an accuracy of 86%. Max Little was recently made a TED Fellow. The non-profit organization behind the TED (Technology, Entertainment and Design) conference creates 40 such fellowships each year. The programme aims to target innovators under the age of 40 and offers them free entry to conferences and other events. Max Little became interested in understanding voice from a mathematical perspective while he was studying for a PhD at Oxford University in 2003. “I was looking for a practical application and I found it in analyzing voice disorders, for example when someone’s voice has broken down from over-use or after surgery on vocal cords,” he said. But a chance meeting with someone from Intel changed that. Andy Grove, one of Intel’s founders and ex-chief executive, was diagnosed with Parkinson’s in 2000 and has since pledged millions of his personal fortune to fund research into the disease. This includes funds for the chipmaker to develop its own projects to monitor the symptoms. “They were using devices that detect breakdown in dexterity and accelerometers but they had also recorded the voices of around 50 patients with Parkinson’s,” explained Max Little. The recordings were detailed as the team had recorded the patients once a week over a six-month period. “They had an enormous amount of data but they didn’t know what to do with it. So we wondered whether my technique would work,” said Max Little. The system “learns” to detect differences in voice patterns. Voice patterns can change for a number of reasons, including throat surgery, heavy smoking and even just having a common cold. But Max Little believes the system will be smart enough to tell the difference. Now he is looking for volunteers to contribute to a vast voice bank to help the database to learn even more. He is aiming to record up to 10,000 voices and has set up local numbers in 10 countries around the world. Anyone can call and they need to state whether or not they have been diagnosed with the disease. There is also a website where people can find out more about the project. “The more people that call in, the better,” he said. He hopes that the technology will be available to doctors within the next two years. “We’re not intending this to be a replacement for clinical experts, rather, it can very cheaply help identify people who might be at high risk of having the disease and for those with the disease, it can augment treatment decisions by providing data about how symptoms are changing in-between check-ups with the neurologist,” he said. There could also be a role for the technology in clinical trials. “The technology makes it easy for people to report their progress whilst on a new drug, for example,” he added. 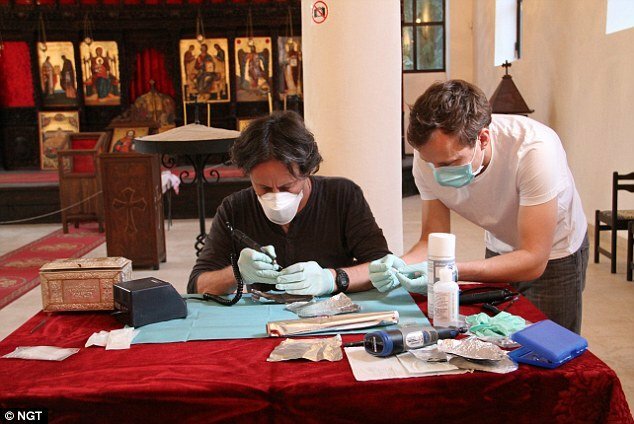 Carbon dating tests carried out at Oxford University have provided scientific evidence to support the extraordinary claim that the bones found amid the ruins of an ancient Bulgarian monastery may be of John the Baptist. A knucklebone has been dated to the 1st Century AD – a time when the revered Jewish prophet is believed to have lived. Researchers were said to be “surprised” when they discovered the very early age of the remains, but admit “dating evidence alone cannot prove the bones to be of John the Baptist”. The new dating evidence will be revealed in a TV documentary to be shown on the National Geographic channel on Sunday. The remains – small fragments of a skull, bones from a jaw and an arm, and a tooth – were discovered two years ago embedded in an altar in the ruins of the ancient monastery, on an island in the Black Sea. They were kept inside a reliquary – a container for holy relics – on Sveti Ivan – which translates into English as St. John – off Sozopol on Bulgaria’s southern coast. 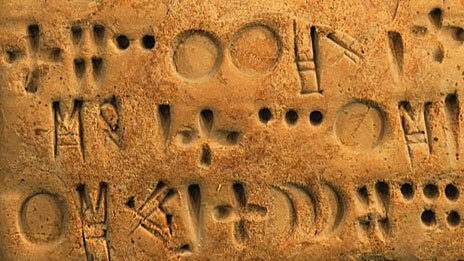 The “key” clue to the relics” origins was a tiny sandstone box found alongside the reliquary with a Greek inscription: “God, save your servant Thomas. To St. John. June 24.” The date is believed to be John the Baptist’s birthday. One theory is that the person referred to as Thomas had been given the task of bringing the relics to the island. Oxford professors Thomas Higham and Christopher Ramsey attempted to radiocarbon date four of the human bones, but only one of them could be dated successfully. Prof. Thomas Higham said: “We were surprised when the radiocarbon dating produced this very early age. We had suspected that the bones may have been more recent than this, perhaps from the third or fourth centuries. DNA tests at the University of Copenhagen on three bones confirmed they were from the same person and probably from someone of Middle East origin – where John the Baptist came from. They also established they were probably from a man. One theory is that the person referred to as Thomas in the inscription was given the task of bringing the relics to the island monastery. Bulgarian researchers believe that the bones probably came to Bulgaria via Antioch, an ancient Turkish city, where the right hand of St. John was kept until the tenth century. Many countries around the Mediterranean claim to have remains of St. John, including Turkey, Montenegro, Greece, Italy and Egypt. According to the Bible, he was the cousin of Jesus and a revered holy man who baptized the son of God. He is said to have foretold the coming of Christ before being beheaded on the orders of King Herod, with his head served up on a plate. In a separate study, another Oxford researcher Dr. Georges Kazan has used historical documents to show that in the latter part of the fourth century, monks had taken relics of John the Baptist out of Jerusalem and these included portions of skull. These relics were soon summoned to Constantinople by the Roman Emperor who built a church to house them there. Further research by Dr. Georges Kazan suggests that the reliquary used to contain them may have resembled the sarcophagus-shaped casket discovered at Sveti Ivan. Archaeological and written records suggest that these reliquaries were first developed and used at Constantinople by the city’s ruling elite at around the time that the relics of John the Baptist are said to have arrived there. Dr. Georges Kazan said: “My research suggests that during the fifth or early sixth century, the monastery of Sveti Ivan may well have received a significant portion of St John the Baptist’s relics, as well as a prestige reliquary in the shape of a sarcophagus, from a member of Constantinople’s elite. The scientific analysis of the relics undertaken by Tom Higham and Christopher Ramsey at Oxford, and their colleagues in Copenhagen was supported by the National Geographic Society. The documentary Head of John the Baptist, featuring the scientists’ work is due to be shown on the National Geographic Channel at 8:00 p.m. on 17 June 2012. John the Baptist was the son of Zachary, a priest of the Temple in Jerusalem, and Elizabeth – who was related to the Virgin Mary. He lived as a hermit in the desert of Judea until about A.D. 27. When he was 30, John began to preach on the banks of the Jordan against the evils of the times and called men to penance and baptism “for the Kingdom of Heaven is close at hand”. John anticipated a messianic figure who would be greater than himself and, in the New Testament, Jesus is the one whose coming John foretold. When Christ came to him, John baptized Him, saying: “It is I who need baptism from You.” When Christ left to preach in Galilee, John continued preaching in the Jordan valley. Fearful of his great power with the people, Herod Antipas, Tetrarch of Perea and Galilee, had him arrested and imprisoned at Machaerus Fortress on the Dead Sea after John denounced his adulterous and incestuous marriage with Herodias, wife of his half brother Philip. John was beheaded at the request of Salome, daughter of Herodias, who asked for his head at the instigation of her mother. John is presented in the New Testament as the last of the Old Testament prophets. William Shakespeare’s All’s Well That Ends Well has a co-author, according to a research from Oxford University academics. Thomas Middleton has been revealed as the most likely co-author, according to in-depth analysis of the play’s vocabulary, rhyming, style and grammar. “The picture that’s emerging is of much more collaboration,” said Prof. Laurie Maguire. This major study of All’s Well That Ends Well says that the most likely and logical explanation for differences in style and inconsistencies in the text is that it is the work of two authors. Prof. Laurie Maguire says that a majority of plays written in this era had more than one writer – but the iconic status of Shakespeare has meant a reluctance to consider his work in this way. She says she is “very confident” that there is “a second hand” in the authorship of the play. The research by Prof. Laurie Maguire and Dr. Emma Smith, from Oxford University’s English faculty, suggests that the playwright Thomas Middleton, a contemporary of Shakespeare’s, appears to be the likely candidate. Writers have their own distinctive literary “fingerprints” – a kind of stylistic DNA – and a highly-detailed analysis of the language in the play shows “markers” strongly linked to Thomas Middleton. The rhyming and rhythms of sections of the play, the phrasing, spelling and even individual words suggest the involvement of Thomas Middleton. As an example, the word “ruttish” appears in the play, meaning lustful – and its only other usage at that time is in a work by Thomas Middleton. The distinctive way that stage directions are used in places is much closer to Thomas Middleton’s style than to William Shakespeare, says the study. There cannot be any definite conclusion to this kind of literary detective work – and the academics say there could be other candidates such as John Fletcher – but Prof. Laurie Maguire says there is an “arresting” stylistic match with Thomas Middleton. Thomas Middleton, who lived between 1580 and 1627, was a Londoner, younger than William Shakespeare, and Prof. Laurie Maguire says his more modern grammar can be detected in the text. 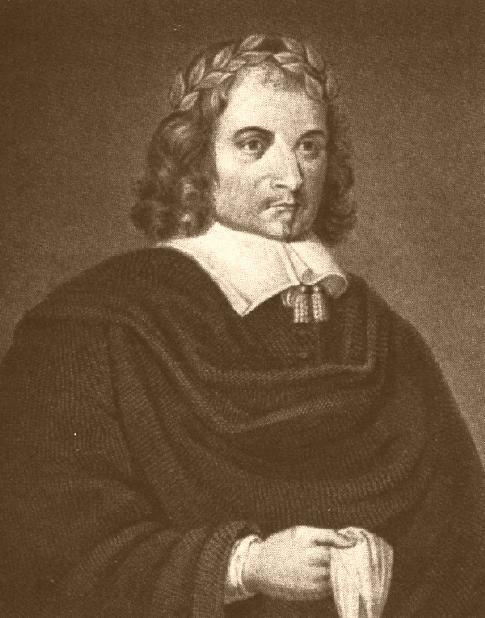 Thomas Middleton became a celebrated writer – remembered for works such as The Changeling and Women Beware Women. But Dr. Emma Smith says that his collaboration with William Shakespeare in about 1607 could be likened to an established musician working with a rising star. Prof. Laurie Maguire says that there is no serious scholarship which challenges the idea that Shakespeare wrote the plays attributed to him. But she says the latest research suggests a much more collaborative approach to writing plays for the Elizabethan and Jacobean stage. Plays were written quickly and for a commercial audience – and there were often stables of writers who worked together to produce a play. Writers within these teams had specialized roles, she says, such as people who were particularly good at writing plots. Prof. Laurie Maguire says the cultural reverence for Shakespeare – so-called “bardolatry” – has helped to support the idea of the playwright as a creative genius, producing his works in isolation. While much of Shakespeare’s writing is his work alone, she says that in All’s Well That Ends Well there is another writer – so much so that in places one author seems to be handing over to the other. The play itself recognizes the mixing and matching of life.